Roque, an activist-lawyer known for taking the cudgels for marginalized sectors of society, shocked everyone when he took on the job of being the spokesman of Duterte, whose controversial statements have shaken the country’s political scene. Roque has been criticized for supposedly abandoning his principles when he joined the Duterte government. Once in a while, videos of his speeches or excerpts of his statements that contradict his current stand on various issues crop up. “I’m now back to the old person that I was. 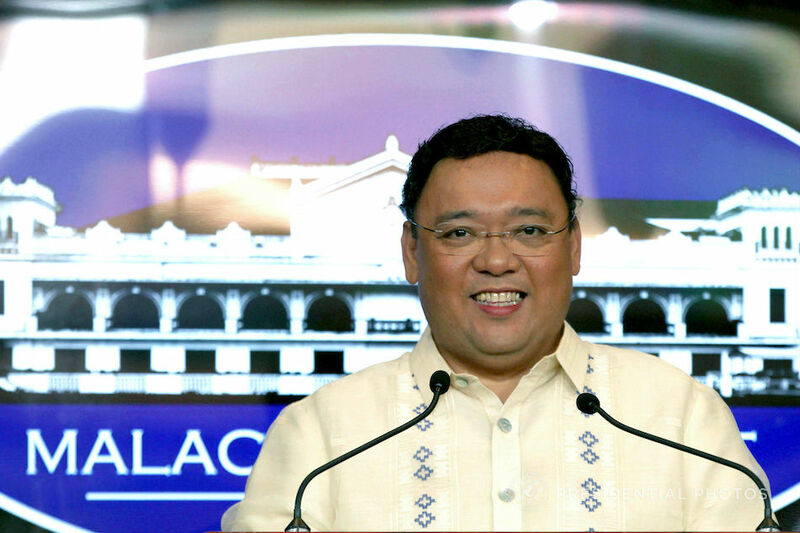 I knew that as a [Presidential] spokesperson, I had no personal views,” Roque said. Roque admitted that being a “highly opinionated” individual, it was hard for him to set aside his views and speak from the perspective of the President. “Even before I was recruited for spokesperson, I had to ask the President: ‘You do know that I voted against the death penalty.’ And he said yes. So that was no problem, because as a pro, I knew that my personal opinions would not matter since I would have to be advocating the position only of the President,” Roque said. “I have absolutely no regrets as far as that is concerned. It remains my conviction,” he added. As a lawyer, Roque had represented Pangasinan fishermen who were bullied by the Chinese in South China Sea. He was also part of the prosecution team that successfully sent US Marine Lance Corporal Joseph Scott Pemberton to jail for killing transgender woman Jennifer Laude. Roque was also known for taking up the cause of the country’s aging comfort women still seeking justice and official compensation from the Japanese government. For almost a year, Roque almost single-handedly shouldered the challenging task of defending the chief executive's controversial statements. It had been widely known that his post would only serve as a launchpad for his eventual senatorial bid in 2019. He himself admitted this. But a week before the filing of the certificate of candidacy, things changed for Roque as Duterte himself said he would not win in the Senate race and should just opt to stay in the administration. The President then offered him to head the soon-to-be revived Office of the Press Secretary. Roque said he could not accept the offer, citing his lack of experience in handling the Palace’s entire communications machinery. Roque announced Monday he is no longer pursuing his Senate bid, but he will run as a representative of party-list group Luntiang Pilipinas. He told ABS-CBN News that he will file his certificate of nomination and acceptance as first nominee of Luntiang Pilipinas on Tuesday, October 16. The Omnibus Election Code states that a government official shall be considered resigned upon the filing of certificate of candidacy. Had he joined the Senate race, Roque acknowledged that he would have had only a slim chance of winning since early surveys show it would be dominated by reelectionist and former senators. “I took his advice that the best option right now is to go back to [lower house of] Congress, which is really was one of my options. Masikip talaga ang Senado, we have 7 re-electionist and 5 comebacking senators, in addition to the new faces, and [campaign] finance, as I said, has always been a hindrance,” he said.